This weekend Africa will converge in Johannesburg for the 11th installment of FNB Joburg Art Fair, 7-9 September at the Sandton Convention Centre. More than 45 galleries, including fifteen new exhibitors, from the continent and from around the world will present a range of works from Africa's new and established artists. Here is our must-see list for the largest fair dedicated to contemporary African art on the continent. Cape Town-born artist and activist Haroom Gunn-Salie is the recipient of this year's FNB Art Prize. His body of work produces site-specific installations that memorialize incidents of oppression, protest, and abuse of power in South Africa's history. 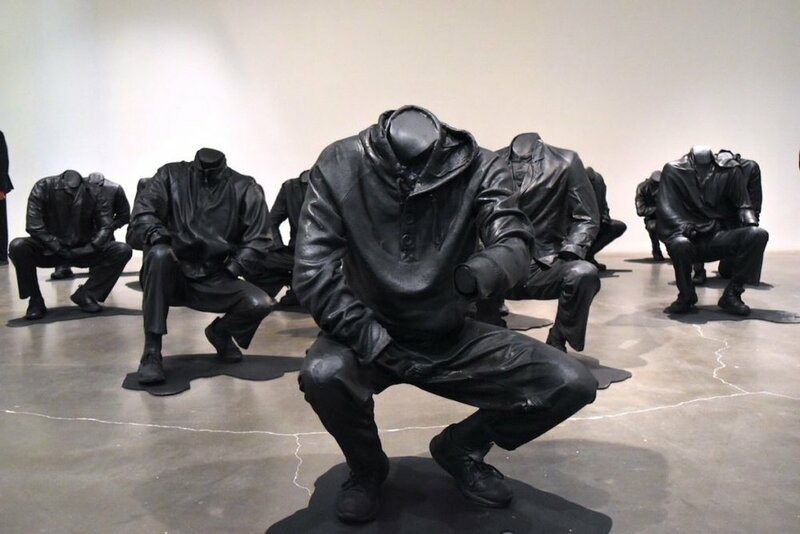 At the fair he will present a continuation of his work Senzenina, a 34-piece installation which commemorates miners killed by South Africa security forces in the 2012 Marikana massacre. 2. 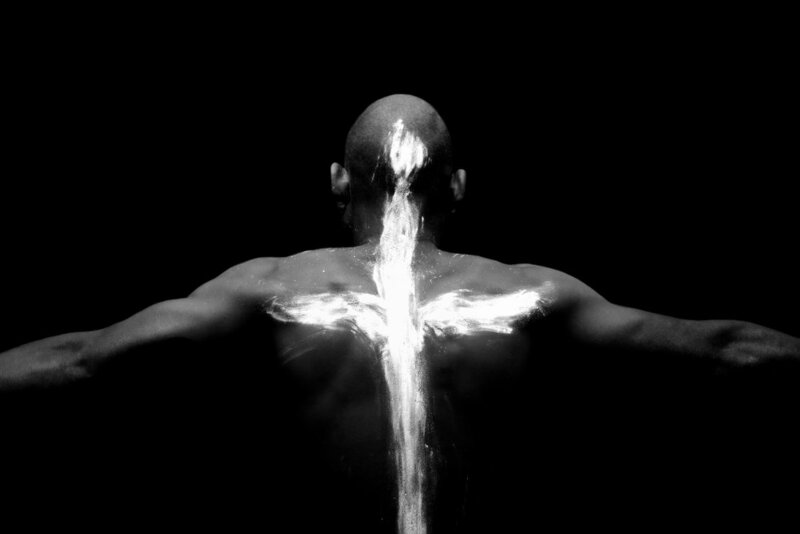 Africa's "New and Exciting Talent"
Mário Macilau, Untitled (Faith series), 2016. Ed Cross Fine Art. In the weeks leading up to the fair FNBJoburg Art Fair asked their followers on Instagram to vote for "Africa's new and exciting talents." Artists like Mario Macilau (from Mozambique), Addis Gezehagn (Ethiopia), Asanda Kupa (South Africa) and Helen Teede (Zimbabwe) were included in the pan-African lineup. While it may be difficult to champion only one artist as 'Most Exciting', the friendly contest produced for the public a lineup of artists to keep on your radar at this weekend's fair. Billie Zangewa. Photo Namsa Leuba. The fair's Featured Artist of the Year, Malawian-born, Johannes-burg based artist Billie Zangewa will debut new work commissioned for the fair. Zangewa is known for her hand-sewn silk tapestries with many based on her personal photographs. The finished work will feature imagery of Zangewa herself and will be one of her largest tapestries to date. "The boundary of art has also been shifted and its audience reconstituted, this can be seen through FAKA’s (Fela Gucci and Desire Marea) practice which has recently reached a height that is unprecedented... FAKA has managed to reach an audience that is a little bit mainstream even though it is very specific in that is queer and young however their audience is large when considering it within contemporary art." Aida Muluneh, The Outider Inside. David Krut Projects. "I utilize face painting as a form in which the inspiration is driven by body ornamentation, not only in my country, but also various parts of the world. I am deeply influenced by various traditional cultures, hence in a sense, I am bringing the past into the future through various forms." See the complete list of solo projects at FNB Joburg Art Fair here.